I must point out from respect that an excellent and quite poetic review of this album also appears on the Between Sound and Space blog, so please read it as well before taking my advice and dropping anything you are currently doing, even if it involves intimacy with another human being, just to run screaming out the door to find a copy of this album. ECM is a label that does a lot of jazz, classical, and even early music, and has been doing so for several decades. ECM’s album covers are always beautiful, and the music very often is just as beautiful. It’s known mainly for its European jazz output, but buried on the label are some gems in other genres. Stephan Micus is by far the brightest and shiniest of these gems, in my estimation. And this album is the most resplendant bauble in his crown of glory. Micus plays an astonishing amount of instruments, which he has collected in his world travels. And he plays them all well – he’s no dabbler or dilettante. Furthermore, while there are “world” (quotes necessary) influences on the music, Micus’s palette of styles is so vast that there’s no way he can be called a “world” music artist. This makes him another shining example of my favourite thing, the “uncategorizable” musician. His music is usually quiet and meditative, and is sometimes accompanied by his excellent vocals (which are never in any recognizable language). Micus has been pumping out about an album of acoustic wizardry per year since the mid-Seventies. I gots ’em all. OK, so, Darkness and Light. Micus is a pretty mean acoustic guitar player, amongst his other talents. Not all of his albums feature his nylon-string, but many do, and maybe because I’m a six-stringer myself by, uh…well, not trade…by predilection, let’s say, I’m quite drawn to those albums in particular. Part 1 (the first part is half an hour long) starts with a group of dilruba (an Indian classical instrument) playing a soft little chamber music piece. After a few minutes, the solo guitar starts, and that’s where things get weepy for your faithful reviewer here. I swear to God, and I really mean it, this is the most beautiful nylon string guitar playing I’ve ever heard. Yes, that sounds like hyperbole, but so what? Sue me. Micus’s playing is measured, restrained, and very emotional in the way that only the greats can show (anyone who feels the emotion that David Gilmour wrings from a few simple notes knows exactly what I mean). Just when you think that you can’t get any higher off this experience, a solo dilruba joins mournfully in a duet of such beauty that frankly, I can’t stand living for a few moments after the piece is done. A nap or a beer usually fixes that, so don’t worry, I’m fine. The piece winds down its half hour of glory with another ensemble section, this time with added whistles. So basically he can’t top Part 1. The rest of the album is just icing on the cake. Part 2 features more rumbly dilrubas (dilrubi?) and the harsh tones of the ki un ki (which, according to my esteemed colleague at the other blog is the long Siberian trumpet pictured on the album cover). A bit jarring after all that understated beauty, but interesting. Fortunately, Part 3 brings things back to that contemplative level with the deep tones of gongs and the lilt of a mystical tin whistle (I can’t believe I just typed “mystical tin whistle”…see what this music has done to me?). It has all the spaciness and the sonic depth of great ambient synth recordings, but all achieved with acoustic instruments and no studio effects. Well, I’ve done my best. Micus has roughly 25 albums to his credit, as I understand it, and if you love, love, love music you will want to look into his music at some point. If you do, you could do a lot worse than making this album your starting point. An absolutely lovely blog. Honored to have my Micus article referenced. Thank you! I really like your site. 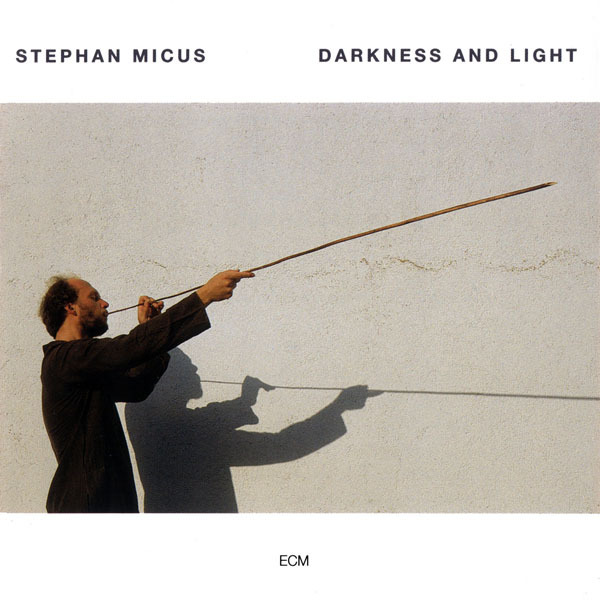 Love the ECM stuff and you write about it poetically.